Redeem coupon and view other special offers on the Specials Page →. 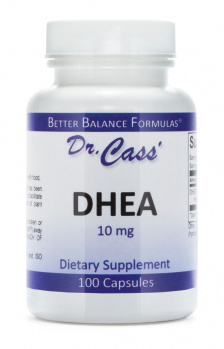 Shown to Support Circulatory Performance, Microcirculation, and Healthy Internal Organ Functions. Astragalus (Radix Astragali), one of the key active ingredients in Vital Cell, is revered in Traditional Chinese healing practice as an advanced anti-aging compound frequently used in formulas for countering a wide range of common discomforts associated with human aging. 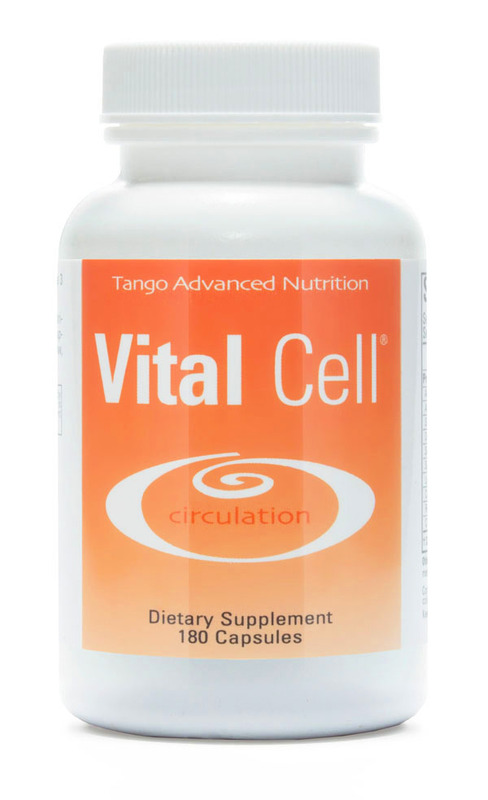 By maintaining healthy microcirculation, Vital Cell promotes internal organ health while supporting the body's natural detoxification of cellular metabolic waste products. Vital Cell has also been shown to support immune performance by maintaining resistance and improving overall health. Vital Cell is a proprietary blend of herbal extracts formulated to support healthy blood flow. 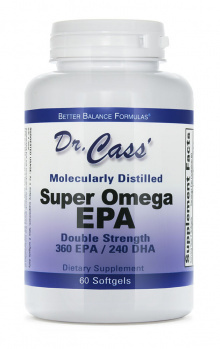 The formula has been shown to exert a positive effect on blood, supporting healthy oxygen uptake and delivery. 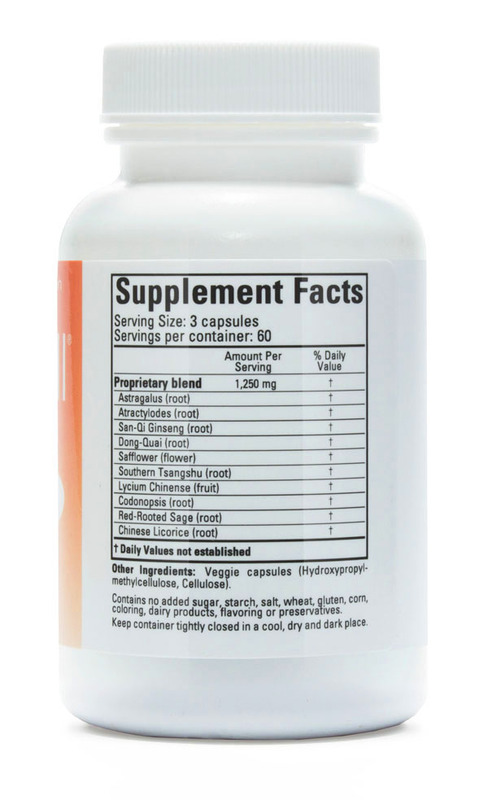 In addition to benefits in microcirculation, Vital Cell has been shown to help with certain age-related issues, as well as helping to maintain and support healthy immune response. Traditional herbal remedies like Vital Cell are known to confer a wide range of anti-aging and immuno-supportive health benefits. In addition to lacking the negative side effects of synthetic remedies, advanced herbal formulas like Vital Cell may be inherently safer and less expensive than their synthetic counterparts. As a professor and physician, Dr. Yan received extensive training in both Western and Traditional Chinese Medicine (TCM). In Chinese medicine blood stagnation is considered to be the primary underlying cause of many health issues. When blood stagnation occurs, the body's internal organs don't receive their normal nutrients, and waste products aren't carried away at a sufficient rate. This impedes the organs from performing their functions, resulting in weakness and aging. Dr. Yan recognized that the Chinese view of blood stagnation had a strong corollary in Western medicine – especially regarding blood sugar issues that affect the microcapillaries and impact blood flow to the retinas, kidneys, and peripheral nerves. Basically, this can be viewed of as an accelerated form of the normal aging process in the way it relates to blood composition and circulatory issues. Noting the role that changes in circulation play in aging, Dr. Yan theorized that many of the age-related health issues he observed in his older patients might be traced to underlying blood and circulation issues. He also believed that these issues were affecting vital tissues and organs. Dr. Yan formed a new research team with other leading medical researchers at the Shanghai Medical Hospital called the Blood Stasis and Aging Research Group. As the researchers examined blood samples from young and elderly volunteers they quickly noticed that the samples from young adults were thinner and had a brighter red color than the samples from the older adults. Intrigued by this simple visual correlation between blood stagnation and aging, the researchers began to test the beneficial effects of a number of natural herbs on blood and microcapillary function. After eight years of gathering clinical data on microcirculation and evaluating changes in blood flow, Dr. Yan's team arrived at a formula made up of 10 traditional herbs that were shown to promote overall health, enhance energy, and maintain healthy circulation. My clinical experience supports the use of this unique Traditional Chinese herbal formulation based on its ability to significantly promote healthy internal organ function, as well as systemic microcirculation, detoxification and cellular energy production. Vital Cell has also been shown to maintain ideal viscosity (thickness) of the blood, thereby supporting blood flow through the capillary vessels that supply oxygen and nutrients to and remove waste products from the cells, tissues and organ systems. I have personally been taking Vital Cell for over four months and have observed a definitive, gradual promotion of my stamina and endurance. Another noticeable benefit has been in my clarity and sharpness of vision and memory, especially after long hours of studying complicated, homeopathic cases and all the medical literature. Mitchell A. Fleisher, M.D., D.Ht., D.A.B.F.M. By enhancing circulation, nourishing cells, and detoxification of cellular waste products, Vital Cell contributes to overall improvements in memory, energy, and health. 1. Motomura K, Fujiwara Y, Kiyota N, Tsurushima K, Takeya M, Nohara T, Nagai R, Ikeda T. Astragalosides isolated from the root of astragalus radix inhibit the formation of advanced glycation end products. J Agric Food Chem. 2009 Sep 9;57(17):7666-72. 2. Park HJ, Kim HY, Yoon KH, Kim KS, Shim I. The Effects of Astragalus Membranaceus on Repeated Restraint Stress-induced Biochemical and Behavioral Responses. Korean J Physiol Pharmacol. 2009 Aug;13(4):315-9. Epub 2009 Aug 31. 3. Liu M, Wu K, Mao X, Wu Y, Ouyang J. Astragalus polysaccharide improves insulin sensitivity in KKAy mice: regulation of PKB/GLUT4 signaling in skeletal muscle. J Ethnopharmacol. 2010 Jan 8;127(1):32-7. Epub 2009 Oct 2. 4. Dong H, He L, Huang M, Dong Y. Inflammation-modulating components isolated from Atractylodes macrocephala Koidz. Nat Prod Res. 2008;22(16):1418-27. 5. Li CQ, He LC, Jin JQ. Atractylenolide I and atractylenolide III inhibit Lipopolysaccharide-induced TNF-alpha and NO production in macrophages. Phytother Res. 2007 Apr;21(4):347-53. 7. Liu Y, Zhang HG, Jia Y, Li XH. Panax notoginseng saponins attenuate atherogenesis accelerated by zymosan in rabbits. Biol Pharm Bull. 2010;33(8):1324-30. 8. Chao WW, Hong YH, Chen ML, Lin BF. Inhibitory effects of Angelica sinensis ethyl acetate extract and major compounds on NF-kappaB trans-activation activity and LPS-induced inflammation. J Ethnopharmacol. 2010 May 27;129(2):244-9. Epub 2010 Apr 3. 9. Zhang L, Du JR, Wang J, Yu DK, Chen YS, He Y, Wang CY. Z-ligustilide extracted from Radix Angelica Sinensis decreased platelet aggregation induced by ADP ex vivo and arterio-venous shunt thrombosis in vivo in rats. Yakugaku Zasshi. 2009 Jul;129(7):855-9. 10. Sun CY, Pei CQ, Zang BX, Wang L, Jin M. The inflammation-modulating ability of hydroxysafflor yellow. Phytother Res. 2010 Jun 17. 11. Tien YC, Lin JY, Lai CH, Kuo CH, Lin WY, Tsai CH, Tsai FJ, Cheng YC, Peng WH, Huang CY. Carthamus tinctorius L. prevents LPS-induced TNFalpha signaling activation and cell apoptosis. J Ethnopharmacol. 2010 Aug 9;130(3):505-13. Epub 2010 Jun 9. 12. Lu SP, Zhao PT. 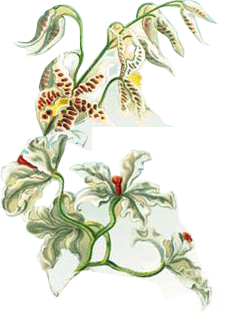 Chemical characterization of Lycium barbarum polysaccharides and their effects. Int J Biol Macromol. 2010 Sep 9. 13. Ha KT, Yoon SJ, Choi DY, Kim DW, Kim JK, Kim CH. Protective effect of Lycium chinense fruit on carbon tetrachloride-induced hepatotoxicity. J Ethnopharmacol. 2005 Jan 15;96(3):529-35. Epub 2004 Dec 8. 14. Cho K, Kim SJ, Park SH, Kim S, Park T. Protective effect of Codonopsis lanceolata root extract against alcoholic fatty liver in the rat. J Med Food. 2009 Dec;12(6):1293-301. 15. Ma HY, Gao HY, Sun L, Huang J, Xu XM, Wu LJ. Constituents with -glucosidase and advanced glycation end-product formation inhibitory activities from Salvia miltiorrhiza Bge. J Nat Med. 2010 Sep 11. 16. Tang C, Xue HL, Bai CL, Fu R. Regulation of adhesion molecules expression in TNF-alpha-stimulated brain microvascular endothelial cells. Phytother Res. 2010 Aug 4. 17. Gao X, Wang W, Wei S, Li W. Review of pharmacological effects of Glycyrrhiza radix and its bioactive compounds. 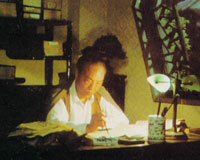 Zhongguo Zhong Yao Za Zhi. 2009 Nov;34(21):2695-700. 18. Xie YC, Dong XW, Wu XM, Yan XF, Xie QM. Inhibitory effects of flavonoids extracted from licorice on lipopolysaccharide-induced inflammation in mice. Int Immunopharmacol. 2009 Feb;9(2):194-200. Epub 2008 Dec 9. Directions: As a dietary supplement take 3 capsules, 2 times daily. Other Ingredients: Veggie capsules (Hydroxypropylmethylcellulose, cellulose). I think this formula is amazing! Just turned 50 and once I started taking VC, 3 caps 2x/day I noticed that my energy and mood improved within a day. The best part is that I am no longer so puffy from eating too much salt! No more funny dimples in my legs from socks at the end of the day and I can now always take off my wedding ring at night without struggling. I also started giving it to my geriatric dog and her energy, mood and appetite improved to the point that we are no longer thinking her demise is imminent. Really, a great herbal formula! I am 74 years old, and quite active, ride motorcycles a lot. Usually after riding a days ride , 200/250 miles, I come home just exhausted, well Recently after about 3/4 days of taking VITA CELL, I went on a days ride, and noticed when I came home, I was not nearly as "wore out", as I usually am. Even yesterday, after riding 200 miles, I notice the same thing. I am encouraged with VITA CELL and would recommend it . I mentioned it to my brother who is 60, and is experiencing similar tiredness, and he said he was going to try it. This product, Vital Cell, is like getting an acupuncture treatment every time you take it. You feel your circulation improve quickly. It helps your overall health and is one of the best supplements I have ever taken. I have various autoimmune issues which western medicine is not very good at treating. This supplement helps me live a more normal life and I would recommend anyone who needs a health boost try it out. I can't recommend this product enough, try it you'll be very happy you did! 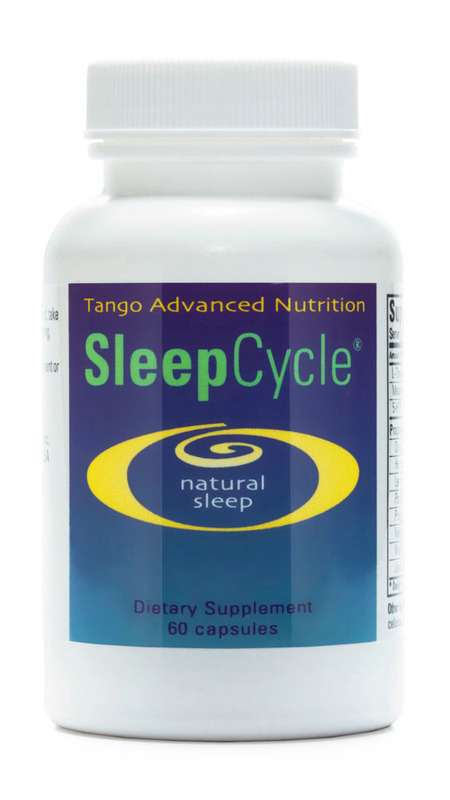 My husband and I use this product with confidence, as we trust the Tango products. 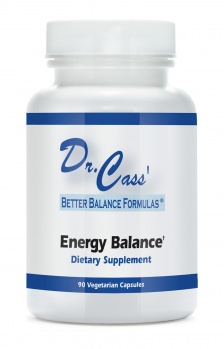 The capsules are easy to swallow and we seem to have more energy since starting these supplements. My husband has a history of heart attack, and we want to support healthy blood flow in any way possible. 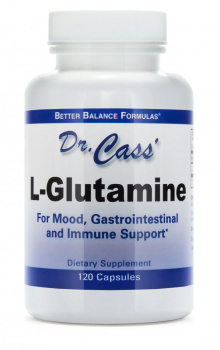 I have many "gut" issues and can tolerate Vital Cell without any negative symptoms. Very satisfied with this product. I have used this product for a month and found that it is as described. I fill as if my veins are clearing of any destructive material and my skin has been filling nice and smooth and soft. I will continue to use Vita Cell and would recommend it to anyone that think that circulation may be their problem. It’s to early to experience all of the changes that this wonderful product can release. What is the recommended daily dose of Vital Cell? We recommend Vital Cell® as a general daily herbal supplement that can be combined with your daily vitamin and mineral supplements. The recommended daily dose of Vital Cell is 1-2 capsules, 2-3 times per day. Each bottle contains 180 capsules and is a one-month supply at 6 capsules per day. How much Vital Cell can I safely take in a day? You can take up to 12 capsules of Vital Cell per day and expect to get additional benefit sooner. 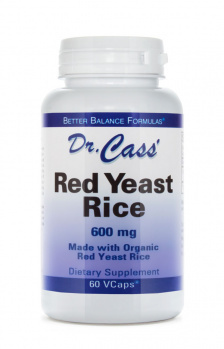 However, for most people 6 capsules is very effective at promoting circulatory and immune health. How do I know Vital Cell is working for me? You should expect gradual improvements in your overall health with regular use of Vital Cell. By promoting circulatory and immune system health you should feel better throughout the day and night. You should also note positive changes in the quality of your blood in blood tests taken at least 30 days after starting Vital Cell. Do I have to take Vital Cell forever? Individual circumstances will determine how quickly your circulatory and immune health will improve when taking Vital Cell. Issues involving circulatory and immune system function may be long-standing and may determine how soon you notice positive changes, and how long you may need or wish to take the formula. When positive changes in circulation and immune function occur, you can lower your dose gradually by one capsule at a time every 4-5 days and expect to see continued benefits. The reason for this is that, as with all true health-promoting supplements, Vital Cell provides restorative results. 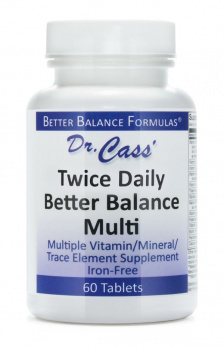 However, as a daily supplement, best results for most people will occur when taking 6 capsules per day. When should I take Vital Cell? The most important consideration in taking Vital Cell is to take it daily and consistently. Convenience makes regular use possible, so including Vital Cell in your regular supplement routine is a good idea. You can take Vital Cell with or away from meals. Morning and early evening are the best times to take the formula to spread out its benefits over a 24-hour period. Some men and women take Vital Cell about 1 hour before bedtime to make sure they have beneficial nutrients working while they are sleeping. Can I take Vital Cell with other supplements? Yes, you can take Vital Cell with, and at the same time, as you take other dietary supplements. I take over-the-counter/prescriptive medicines for better circulation. Can I take Vital Cell with them? You can take Vital Cell while using other products for your circulation or any other condition. However, you should always take Vital Cell or any other supplement at least 2 hours away from any medication to reduce any possible risk of interaction. As a special precaution, you should not take Vital Cell if you are on the drastic blood thinning medication warfarin/coumadin. You should also exercise caution when taking aspirin, plavix or other blood-thinning medication while also using Vital Cell. If you have any questions about using Vital Cell or any other supplement while you are using medications of any type, ask your doctor or pharmacist for advice. Can I combine Vital Cell with some of your other products like OsteoPhase, CardioPhase, or Herbal Boost? 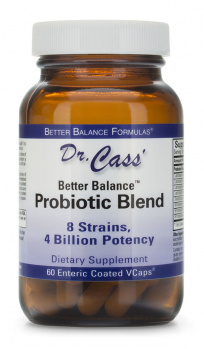 Yes, you can take Vital Cell with OsteoPhase for bone health. We suggest that you take 1 capsule of Vital Cell for each 2 capsules of OsteoPhase. You can also take Vital Cell and CardioPhase together. We suggest starting at a lower dose of each formula than that recommended on the bottle, as there is some overlap in function between the supplements. You can increase the doses of each by one capsule per day until you feel the effect that you are trying to achieve. As noted above, you do not need to take Vital Cell and Herbal Boost together for circulatory health. For quick restoration, we suggests you take Herbal Boost for 3-4 months then switch to Vital Cell as your daily circulation and immune system supplement. Can a woman take Vital Cell if she is pregnant or nursing? No, we do not recommend that a woman take Vital Cell if she is pregnant or nursing. This is not because Vital Cell is unsafe but because there have been no safety studies performed on the ingredients in Vital Cell for pregnancy and nursing. Can children take Vital Cell? Vital Cell is not recommended for people under the age of 18. Can I give Vital Cell to my pet (cat, dog, or horse)? Is Vital Cell tested for contaminants that could harm my health? Are there any side effects from taking Vital Cell? Vital Cell does not cause drowsiness or make a person sleepy. It also does not contain any stimulants that might cause jitteriness or lack of sleep. What do I do if I think taking Vital Cell is causing me discomfort? If you should experience discomfort when taking Vital Cell and it does not go away with these suggestions, then discontinue use and contact our product specialist for further recommendations at 1-866-778-2646, ext 2. If we cannot determine a way for you to continue use of the product to gain its benefits, then we will arrange for a full refund for you. I see that Vital Cell contains licorice. Will that raise my blood pressure? No, there are less than 40 mg. of licorice powder in each capsule of Vital Cell. This means that glycyrrhizic acid, the active ingredient in licorice responsible for elevating blood pressure is about 1.6 mg. per capsule. At the largest recommended dose of 12 capsules of Vital Cell per day you would be getting 19.2 mg. per day of glycyrrhizic acid. 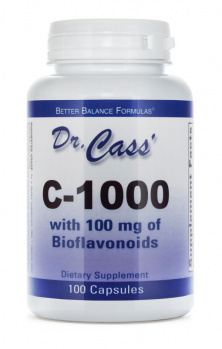 Studies have shown that continuous use of 100 mg. per day for extended periods of two or more weeks of glycyrrhizic acid is safe and does not elevate blood pressure. You would have to take 60 capsules of Vital Cell daily to reach the safe amount of 100 mg. per day of glycyrrhizic acid. 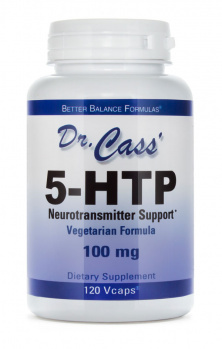 5HTP, 120 Vcaps / 100 mg.